Myanmar real estate properties in Yangon. 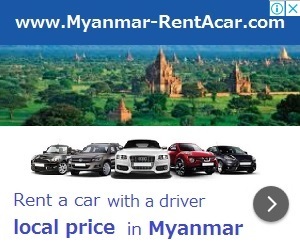 ・All the prices in [Myanmar Housing] are the owner's desired price; it may be cheaper after negotiation. ・In Myanmar, the rent contract always be 1 year contract, the 1 year's rent should be paid at beginning, no guarantor required. ・Deposit usually be 0-3 months rent, landloard decide it according interior conditions, furniture and electrical equipment. ・The brokerage fee is 1 month's rent. Myanmar Housing is the biggest real estate portal website in Myanmar, founded in 2011. You can find a lot of information about landed house, condominium, industrial properties, office, shop and land. Our website is also open for all real estate agent in Myanmar to advertise properties include buy, sell, lend and rent. If you want to sell or buy a house, you need property information as well as buyer or seller information. As a buyer, you can find many landed house, condominium, industrial properties, office, shop and land. As an agent, you can post your real estate information on Myanmar Housing, so it can help you to find buyer. If you are not looking to buy or sell an estate but instead you are looking to rent or lend for temporary use, you have visited a right site. In our portal website, there also have a lot of informations about renting and lending estates. You can find yourself and choose to match with you. You may need a land to build a firm, factory, industry, shop, or just want for future use. Therefore, here we made a list of estate that can be buy, sell, rent and lend. We have a lot of informations about them. We wish you could find the land which matches your requirements.